By Joanne Stefanatos D.V.M. 344 pgs. This book is a treasury of spirituality for all ages. 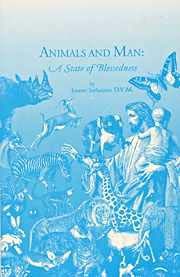 A book that reveals the mysteries of God concerning man, animals and salvation. It features 52 historical accounts of the lives of holy men and women who were graced to live with wild animals in a state of blessedness on earth.